Vitamin B deficiency and elevated total plasma homocysteine have been associated with cognitive impairment and dementia in later life, although it is unknown if treatment with these vitamins improves cognitive outcomes. 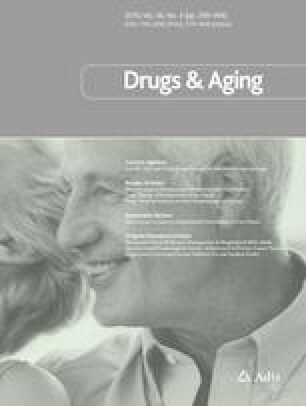 The objectives of this study were to examine the efficacy of treatment with vitamin B12, vitamin B6, or folic acid in slowing cognitive decline amongst older adults with and without cognitive impairment. We summarized findings from previous systematic reviews of clinical trials and performed a new systematic review and meta-analysis of 31 English-language, randomized placebo-controlled trials of B-vitamin supplementation of individuals with and without existing cognitive impairment. Previous reviews have generally reported no effect of B vitamins on cognitive function in older adults with or without cognitive impairment at study entry, although these vitamins effectively lowered total plasma homocysteine levels in participants. Ten randomized placebo-controlled trials of 1925 participants with pre-existing cognitive impairment and 21 trials of 15,104 participants without cognitive impairment have been completed to date but these generally confirmed findings from previous reviews with the exception of two trials that showed a modest but clinically uncertain benefit for vitamins in people with elevated plasma homocysteine. B-vitamin supplementation did not show an improvement in Mini-Mental State Examination scores for individuals with (mean difference 0.16, 95% confidence interval − 0.18 to 0.51) and without (mean difference 0.04, 95% confidence interval − 0.10 to 0.18) cognitive impairment compared to placebo. Raised total plasma homocysteine is associated with an increased risk of cognitive impairment and dementia, although available evidence from randomized controlled trials shows no obvious cognitive benefit of lowering homocysteine using B vitamins. Existing trials vary greatly in the type of supplementation, population sampled, study quality, and duration of treatment, thereby making it difficult to draw firm conclusions from existing data. Findings should therefore be viewed in the context of the limitations of the available data and the lack of evidence of effect should not necessarily be interpreted as evidence of no effect. Andrew H. Ford and Osvaldo P. Almeida have no conflicts that are directly relevant to the content of this article. Enderami A, Zarghami M, Darvishi-Khezri H. The effects and potential mechanisms of folic acid on cognitive function: a comprehensive review. Neurol Sci. 2018. https://doi.org/10.1007/s10072-018-3473-4 (Epub ahead of print).